Orthodontics are an excellent way to straighten your teeth! While they are used to straighten teeth for an enhanced smile, they also help restore functionality to teeth, as well as your jaw and bite. This is because orthodontists are able to predict if any structural changes will occur to the mouth that may impede on a child’s bite and cause serious problems in the long term. Adults Use Orthodontics As Well! There’s a stigma still present in our society that believes only children and teenagers should partake in orthodontics. This is completely false. There is no age limit on when a person should begin orthodontic treatment. 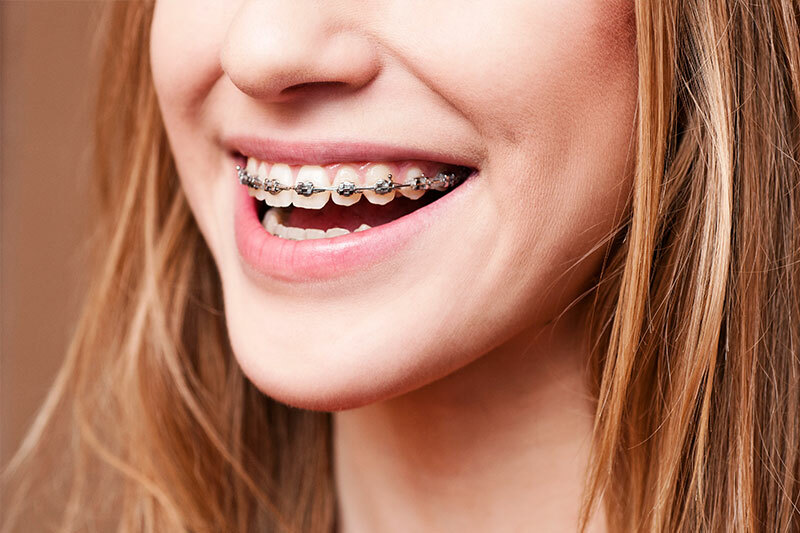 These are the most common form of braces. While they are not nearly as appealing as clear, invisible braces, they are still highly efficient at correcting orthodontic problems and are very cost effective for price conscious patients. They come in many colors; even colors that help match the shade of your teeth for added concealment. These are the superior choice for adults as they are clear in color, removable, and work as effectively as traditional metal braces. Because they are removable, they are also much easier to manage than traditional braces in terms of maintenance, brushing, and flossing. Based on your budget and needs, we will be able to guide you in the right direction so that you are one step closer to obtaining the smile of your dreams. If you have any questions regarding orthodontics or if you want to schedule an evaluation or appointment, then please call our office at (630) 759-9929.